Take the hitch out of your event advertising giddy up when you send out individual Modern Rodeo Invitations to your guest list. 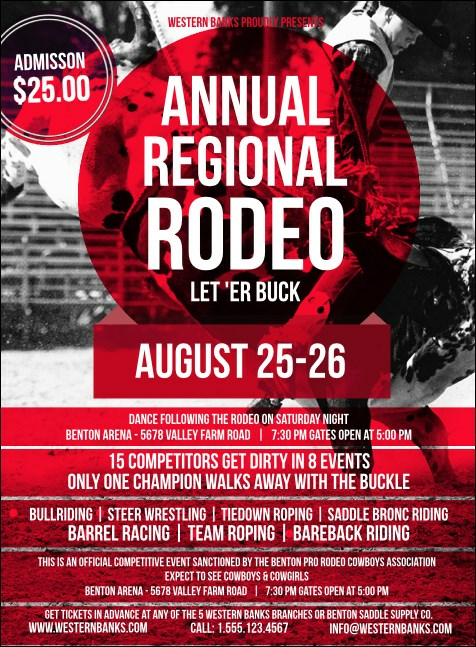 These classic, yet contemporary, Invitations feature a black and white picture of a rider on his bucking bull in the background, and include bright red highlights for twenty-one lines of white text. TicketPrinting.com helps you hang on to your chaps!